The YouTube Downloader is an excellent application for download the YouTube videos directly which is now available for download in Nokia OVI store for free of cost. Now the Nokia users can get the YouTube videos in their mobile device through this application. The application is now available in OVI store and it is provided by PicoBrothers. 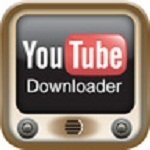 The YouTube Downloader allows users to browse and watching any videos in the YouTube and can be download the same for the device using YouTube downloader. The downloaded videos can be directly stored in the mobile device and can be view at any time. The high definition videos also can be project using projector in the big screen but it is depend on the device compatibility. Through the Nokia HDMI port and TV out facility in some selected device the stored videos can be project in the big screen like Television, screen etc. The application supports resolutions up to 720 pixels. The YouTube downloader is available in Nokia OVI store which can be download using the mobile or by using PC or Laptop. For download by using the Nokia mobile one should have to go to the Nokia OVI store and then Applications where the YouTube Downloader is available for download and will install automatically. An internet connection is needed for download the same and a one time update of the phone will be prompted during the installation. For installation by using the PC or Laptop, one can directly get the same from Nokia OVI store. Users can Download the YouTube Downloader directly from the Nokia OVI store. The YouTube downloader helps the users a lot these days because through this one can download those videos from YouTube which is not possible to download normally. Now a days, most of the important and popular videos are uploaded in YouTube and now Nokia users can also download the same to their mobile device without using PC for which a compatible handset with an internet is only needed. One can also browse videos according to their choice which is stored in the video folder of the mobile device after download. The videos can also be enjoy offline and project them to a Television or in a big screen by using the HDMI port and the TV Out feature of the phone. The YouTube downloader is not compatible for all the Nokia mobiles, it is available for some of the selected models. One can check the compatibility in Nokia Cell Phone Selector.